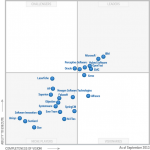 In one of the recent articles from Gartner, the trusted analysts, Microsoft SharePoint and the Gartner magic quadrant in 2013 position remains unchanged in 2013, in the ‘challengers’ space from last year. So whilst it may have a good ‘ability to execute’, it’s felt by Gartner that it’s ‘completeness of vision’ isn’t as strong as others in this space. There is in fact very little change for all the major players in all the quadrants, save for one or two movers and leavers. Though SharePoint is recognised as being deployed in some capacity in the majority of Gartner’s own clients in their commentary, this is more likely to be in its stronghold, which is that of internal deployments. In the WCM space SharePoint has always been playing catch up to more establish players since it introduced broader capability in this space a few releases ago. Arguably with its inclusion of FAST search capabilities, it’s made some improvements in the latest 2013 release, but the wider feature set is still some way behind in areas around digital marketing and personalisation. 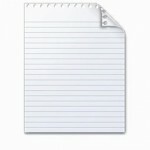 Licensing has however been made more attractive in the latest release for public facing websites. We tend also to agree that its WCM offering in the hosted space through Office365 is somewhat limited in comparison to its on premise capabilities and obviously competitors. Though it remains to be seen with more frequent updates to cloud based versions promised (every three months instead of 3 years), whether or not this position will change. 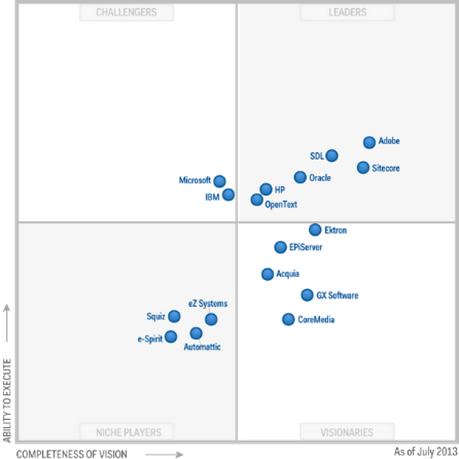 What next for SharePoint 2013? We think arguably its recent focus on social engagement capabilities (as seen in SharePoint 2013), through its purchase of Yammer and in particular the move to the cloud for many of its products & services, suggest these will be a key focus of their efforts in the coming period. Tight integration with other applications like Exchange, Lync and operating system and Office suite, confirm its continued importance of ‘owning’ the desktop and internal environments. Feel free to comment on the article, we’re always happy to engage in dialogue and debate. 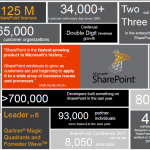 This entry was posted in SharePoint 2013, SharePoint Business Case, Yammer and tagged gartner, SharePoint, SharePoint 2013. Bookmark the permalink.